Thomas Fogarty (1873-1938) was an American illustrator of magazines and books. 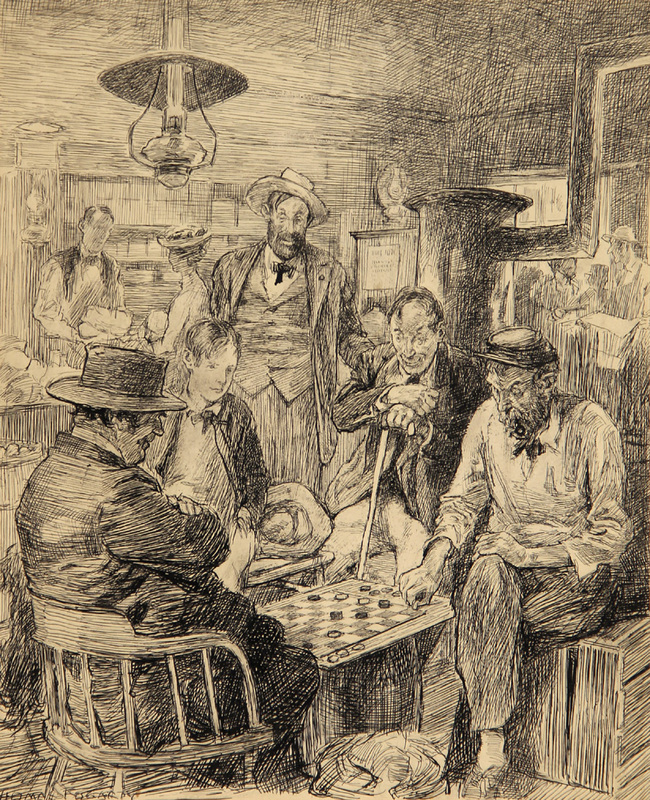 A native of New York City, Fogarty studied under H. Siddons Mowbray and Carroll Beckwith at the city’s Art Students League, eventually becoming an illustration instructor there from 1905-1922. During his teaching years at the Art Students League, Fogarty became an influential instructor to a generation of 20th century illustrators. Some of his students included Norman Rockwell, Walter Biggs, McClelland Barclay, William Galbraith Crawford, Edmund F. Ward, and George Edward Porter. Fogarty occasionally convinced a cheap magazine to give him an assignment that he could pass along to his students; if the magazine used the student’s work, this gave the student the beginnings of a portfolio and a leg-up in the professional illustration world. 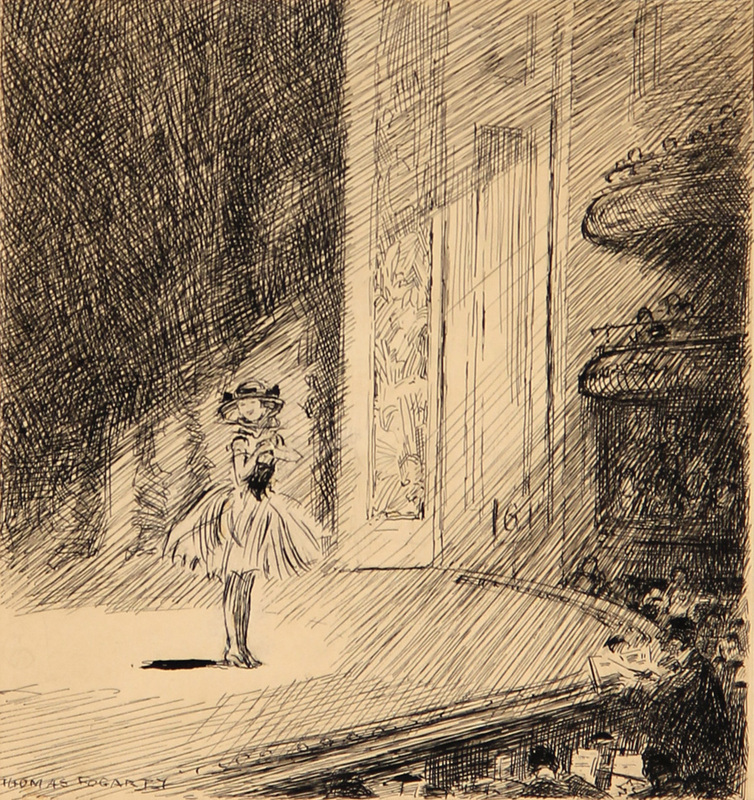 In his own work, Fogarty used a variety of media, but is most noted for his use of pen and ink. His compositions are highly researched and organized, featuring complex scenery packed with multiple figures and props. 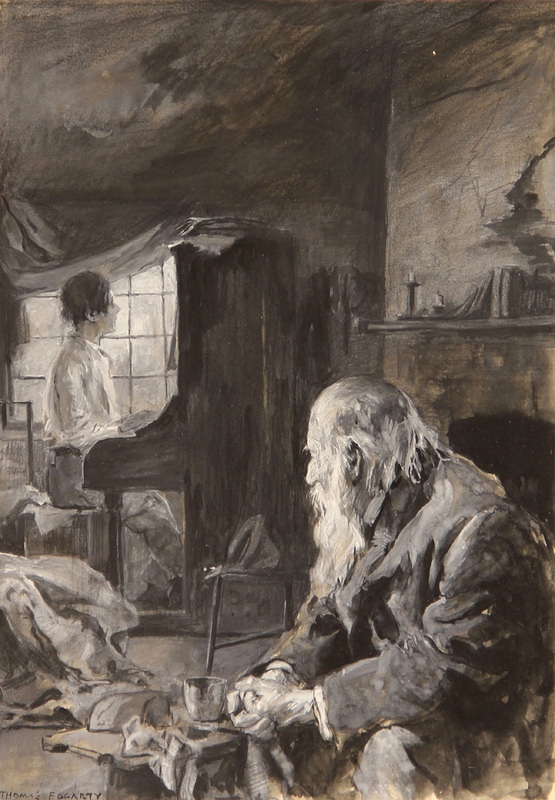 Fogarty often leads the viewer into the scene through a combination of still-life, the turned back of a figure, and a pathway of negative space from the foreground to the middle ground. Through the interaction of figures and objects within a complex scene, Fogarty creates a visual type of storytelling that does not rely on corresponding text. In addition, his work often relies on nostalgia, focusing on approachable characters in a rural setting. 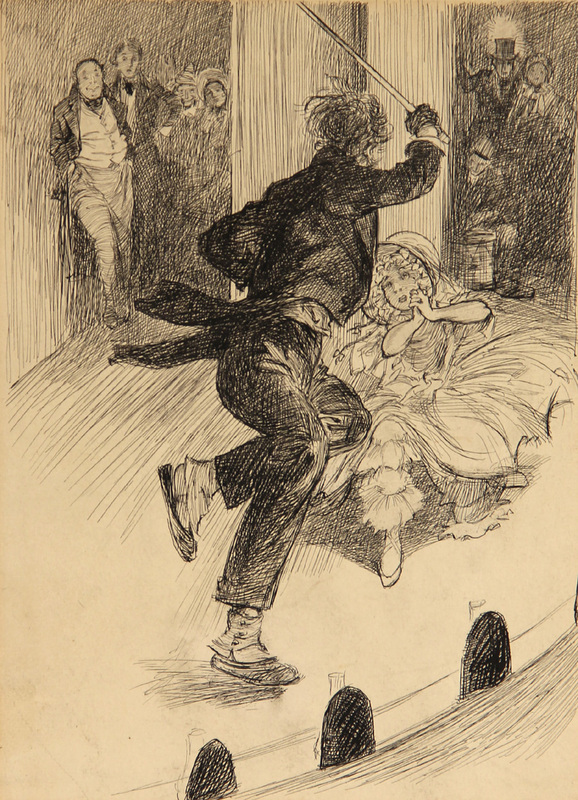 Some of Fogarty’s illustration work was created for Jacob Riis’ The Making of an American, Will Payne’s On Fortune’s Road, and the David Grayson books. In 2009 Thomas Fogarty was awarded the Distinguished Educator in the Arts award by the Society of Illustrators. Walt Reed, The Illustrator in America, 1860-2000 (New York: Society of Illustrators, 2001). Norman Rockwell and Thomas Rockwell, Norman Rockwell, My Adventures as an Illustrator (Garden City, NY: Doubleday, 1960). Diana Strazdes, The Illustrator’s Moment: Works by Abbey, Fogarty, Leyendecker, Pyle, Rackham, N.C. Wyeth (The Old Corner House: Stockbridge, 1978).